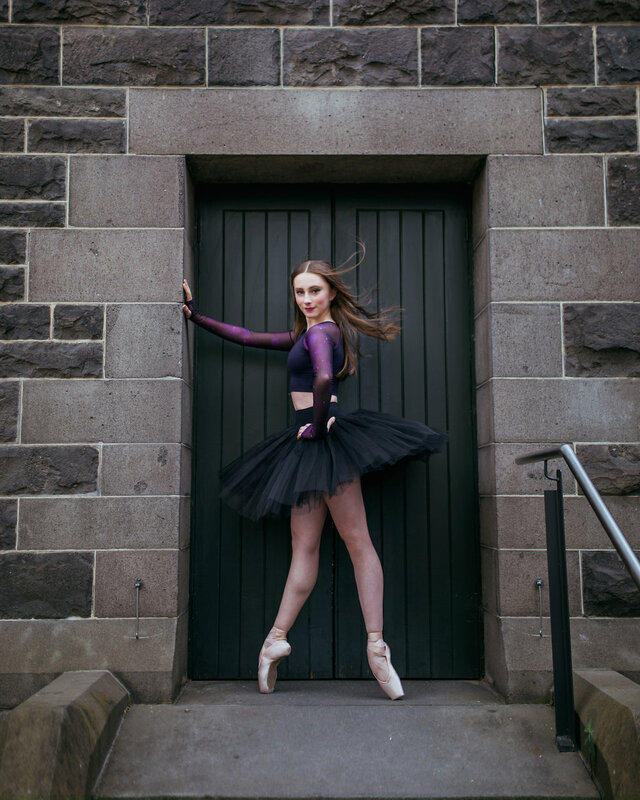 During the final months of 2016 Maeve Nolan was getting ready to floor the judges and enchant audience members at the Genée International Ballet Competition (the illustrious International event that welcomed 86 talented dancers from 12 different countries to compete in Sydney during December), and by the end of the event, she had achieved the ultimate accomplishment and earned herself the Genée’s highly coveted Gold Medal. Then came 2017, which was no less remarkable for the Sydney-born dancer who has gone from strength to strength after her triumph at the Genée. Fresh from her win in Sydney the sixteen (now seventeen) year old left her home behind, enticed by new opportunities abroad - and after taking class and making her way around several of the most renowned schools in Europe, quickly found herself with offers left, right and centre. Something about ENBS (the affiliate school of the English National Ballet) just clicked for Maeve though, and with that her brief trip overseas became a permanent situation, taking up residence in the school’s student accommodation at the beginning of the year and applying herself with her usual quiet tenacity to full time training in a unfamiliar but welcoming new home. In spite of the occasional yearning for the comforts of home-cooked meals Maeve has flourished in her new environment, relishing daily classes and the frequent opportunities to watch the English National Ballet and some of the world’s finest dancers rehearse and perform. And of course performing herself, which is where the full scope of Maeve’s talent becomes evident; not just as a dancer, but as an artist with an emotional potency that far exceeds the conventional quota for someone so young. At the end of her first year with the ENB school Maeve's talent was recognised once again as she was invited to perform alongside the English National Ballet as a Snowflake in the company's performances of the Nutcracker - an honour usually only bestowed upon third years. 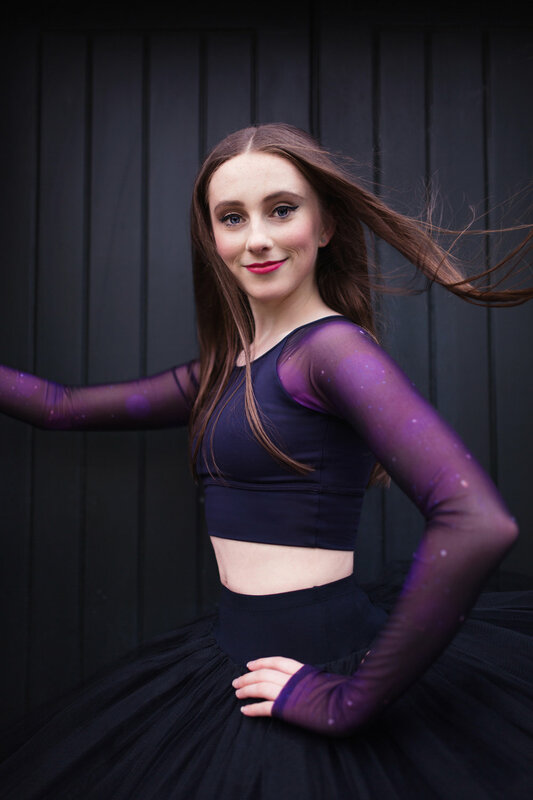 And whilst the majority of us settled in to our much needed Christmas breaks and temporarily put the pointe shoes away, Maeve was busy doing what she loves most, waltzing on stage and epitomising all the radiance and beauty of a snowflake over a total of thirty four performances at the London Coliseum. It's probably safe to say that this year will be no less eventful for the rising star, as her current success has nothing to do with luck, and everything to do with sheer drive, talent and unwavering dedication. Maeve took some time out of her training to chat with us about the journey so far, and what's still to come. Read the interview and check out her photoshoot with Energetiks below. E: Do you remember your very first ballet class – what was it like? MN: I don’t think I remember exactly my first class but I remember constantly being excited to go to ballet. I also remember that I always wanted to perform whether it was on stage, in class or at home. E: At what point did you realise you wanted to pursue ballet as a career? MN: As a little kid, I loved ballet and wanted to be a ballerina riding a pony. But as I got a little older I actually wanted to pursue other things like swimming or becoming a vet. 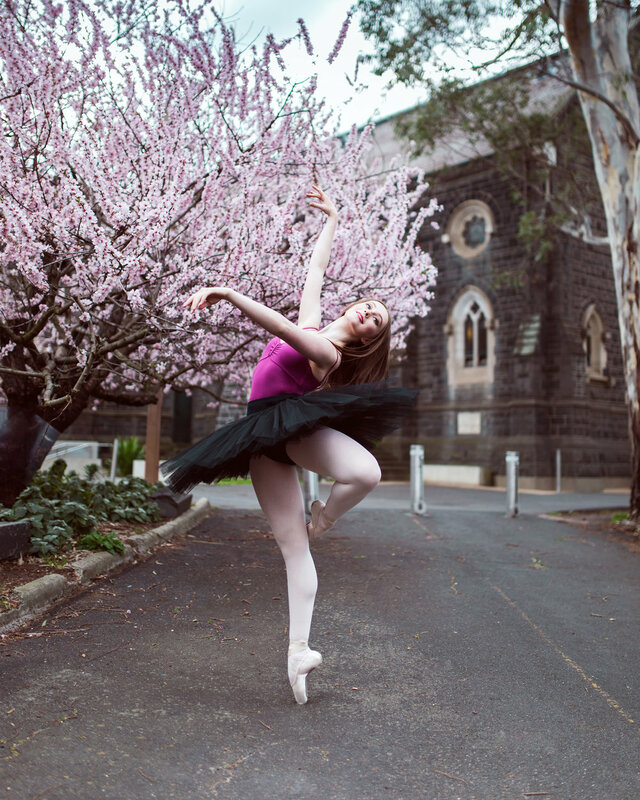 It was only when I was around 13, I realised I wanted to do more ballet classes and extend my learning. E: Do you have a favourite move or exercise in class? MN: I don’t have a particular step that I enjoy most, for me it changes nearly every day. One day, I will really love fondues at the barre and other days I just love jumping and moving around in space. The only thing that I continually enjoy to watch and do, is port de bra, as it can express so much about a particular character or theme, and it can have a breathtaking effect on an audience. E: What’s a goal or aspiration you have for the future? MN: My ultimate aspiration is becoming a member of a professional ballet company either in Australia or overseas. E: What’s the most challenging part about dance for you, and what makes it worth it? MN: Ballet is very physically and mentally demanding, the hardest thing for me is when I wake up and I am sore, tired and homesick, but it is all worth it as soon I start class. It’s like all my worries go away, and as soon as I touch the barre I feel at home. 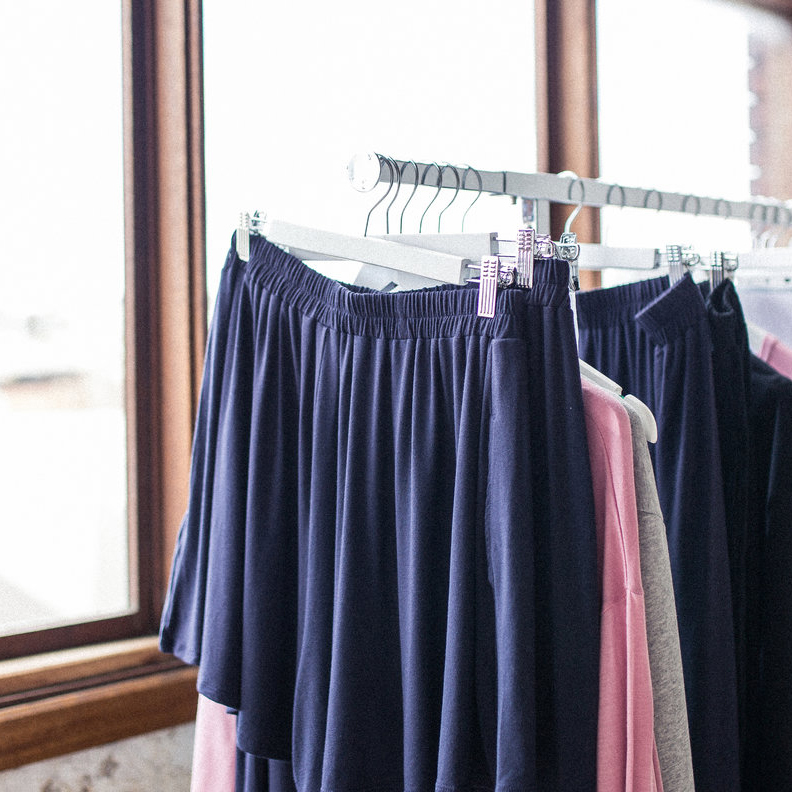 E: What is your current dancewear staple? 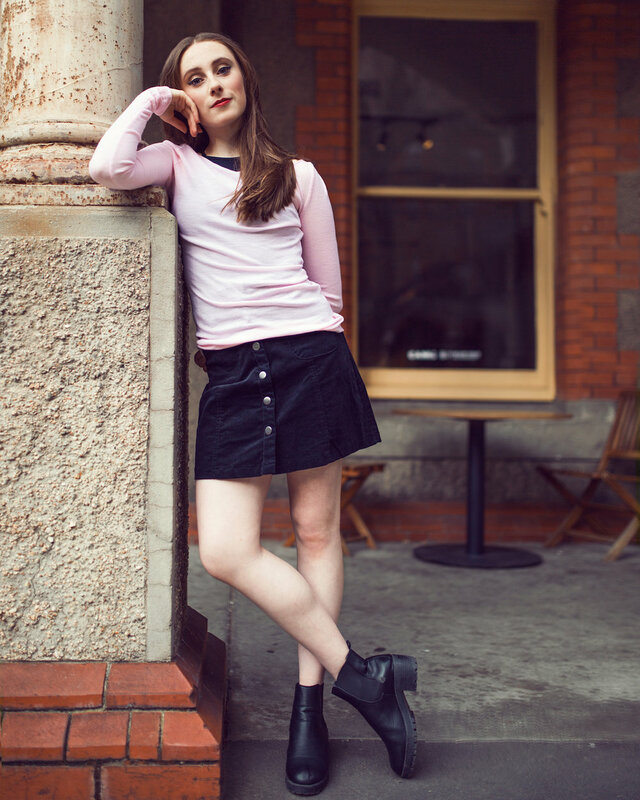 MN: As it is currently quite cold here in London, I am keeping warm in my Merino wool Ellen top and Roll top leggings as they are light but keep me warm between classes! MN: I am inspired everyday by many different people; my classmates, friends, teachers and artists around the world. My teachers have continually inspired me from a young age to be a better dancer and artist, and really encouraged my passion for ballet. E: How are you enjoying training at the English National Ballet School – what’s the most enjoyable aspect for you? MN: I really love the welcoming atmosphere at English National Ballet School. it has wonderful training, teachers and people and every day when I leave I feel more inspired to be better. E: What's one technique correction that has always stuck in your head? MN: I have many corrections that come to mind but if I had to choose just one it would be to engage to the lower core and lengthen as much as possible in positions without distorting the line or movement. E: Is there a performance or show you’ve watched that stands out in your memory? MN: When I was a little girl I would watch ballet DVDs with my granny. One that stands out the most was Manon. I remember being fascinated by the dancers’ emotions and how they conveyed the story without words but with movement and expression. E: What’s your pointe shoe routine? MN: To prepare my shoes, I usually sew the ribbons and elastics on my shoes when I have a chance and I sometimes bend the arch of the shoe before I wear them so it hugs my arch when I dance. E: What’s something you’ve learned in 2017? MN: In 2017 I faced many new experiences and challenges and I learnt to not be afraid to dive right in and open myself to new possibilities. E: What do you do enjoy doing in your free time? MN: When I have free time, I love getting out, exploring and trying new things, like trying out a new recipe, or going to a new place. E: Have you ever had any injuries, and if so what helped you during the recovery process? MN: I am lucky to say I have never had any serious injuries yet, but as a dancer it is inevitable as we are pushing our bodies to the limit every day. That is why I believe in prevention, and I take necessary action if ever I feel a niggle or slight pain/soreness so it doesn’t get worse. E: What’s the last thing that made you laugh? MN: I would have to say the last thing that made me laugh would either be my friends or a funny video online. MN: Irish dancing, as it looks very hard but I like a challenge! MN: I don’t think so, does knowing random facts count? E: What's your favourite after-dance meal to make? MN: Either an apple or banana and some almonds or peanut butter and celery, and a lot of water to rehydrate myself. E: If you could give your younger self one piece of advice, what would it be? MN: Just keeping working hard and enjoy every minute! E: You won the Gold Medal at the Genée International Ballet Competition in 2016; what helps you cope with the pressure of performing in a competitive environment and dance your best? MN: At a competition it is so easy to fall into the whole competitiveness and stress of being perfect, I was just happy to be in the Genée and just thought to myself I had nothing to lose, so I might as well just go on stage and enjoy every moment of it! MN: One of my teachers once said, ‘You shouldn’t just work hard, you should love working hard’ which is so true in ballet and in life and I also like the quotes, ‘Don’t worry, be happy’ and 'It’s not about the destination, it’s about the journey'. E: Lastly, any words of advice for other aspiring dancers? MN: To run your own race, work hard and be humble!